People eager to lose weight often go on low calorie juice diets. While I'm not really an advocate for extreme diets or ridiculous "detoxing" juice cleanses, I think if combined with some other basic nutrition (some protein and healthy fats) it can be an effective way to jump-start some weight loss. Whereas juice provides with many nutrients, one needs to also combine it with an exercise regimen to lose bodyfat and keep it off. Vegetable juice and fruit juices provide the body with necessary vitamins and minerals required for healthy immunity. 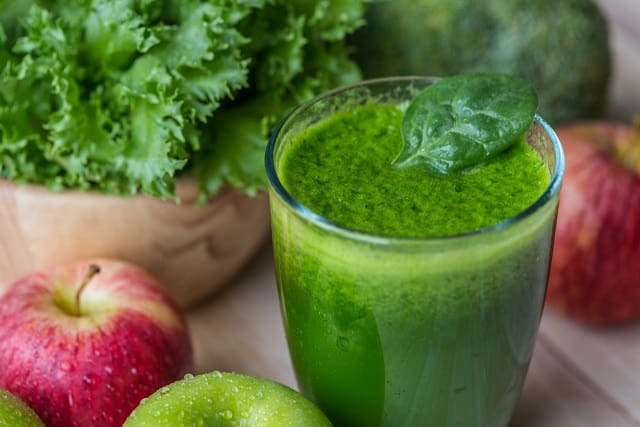 Vegetable juice can act as appetite suppressants and the sugar content is lower than in fruit juices. Enjoy these frugal and healthy low calorie juice recipes for a little short term weight loss..
Time to start blending and get juiced! Wash, peel and chop the vegetables and blend in a juicer. You may add little ginger if you need some spice in your healthy juice! Take out the juice of these fruits and in a blender. Add ice and sip! Grapefruits are beneficial for losing weight. This healthy juice is also high in vitamin C.
Core the apples, peel and cut carrots. Add apples, carrots, celery and lemon juice to a mixer and blend well. Pour in glass and add ice if desired. This is a refreshing and delicious low calorie juice. Boil the above ingredients and sip! This healthy juice will help in detoxification of the body too. Pit the dates and then blend all the above ingredients in a blender. Best when served fresh. Take out the juice from orange and grapefruit. Pour this in the mixer with banana and strawberries. Blend well and serve. Blend all the ingredients and enjoy this healthy juice recipe. Mix all the above ingredients in a blender and add ice. This is a refreshing and cooling low calorie juice recipe. Blend the strawberries and orange juice with the juice of lemon. Pour in glass and enjoy this nutritious and healthy juice recipe. Frugal fruits like watermelons, pineapple, papayas, plums, berries and honeydew have low amounts of calories. So, experiment and make your own low calorie juice recipes for weight loss. Likewise vegetables like carrots, cucumbers, celery, cabbage, lettuce, beetroot, spinach, apples, oranges and lemons are the healthy choices for creating your low calorie juice recipes for weight loss. I'd advise you not go on a juice diet for too long, and to include at least a little protein and heart healthy fats along with the juicing. While these juices provide essential nutrients to the body without filler, it is not sufficient for a long term healthy nutrition. Enjoy your juicing! I hope you enjoyed this article about juicing and 9 healthy juice cleanse weight loss recipes on a frugal budget. Interested in more articles about frugal healthy nutrition?